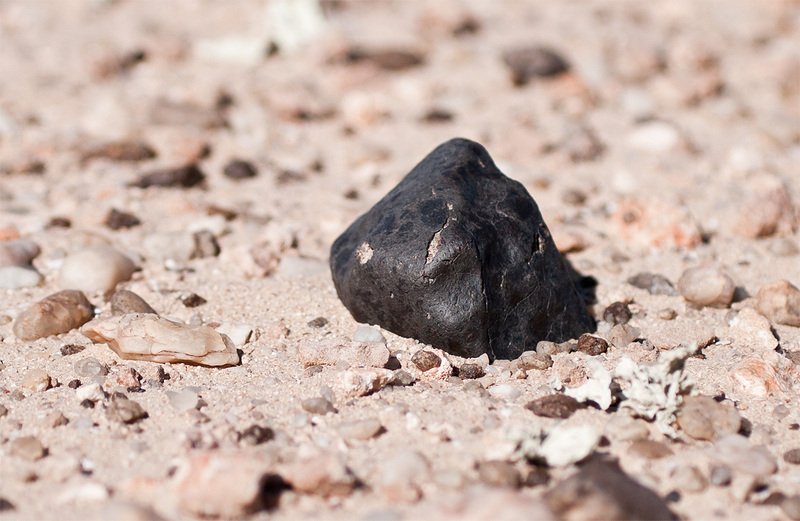 Moderately sand-abraded chondrite found on February 16 as the first meteorite find of the 2012 Meteorite Recon expedition in South Morocco. The L6 chondrite also marks the first find of the newly discovered dense aggregation area Aridal (Bir Aridal / Imirikli Labyad). 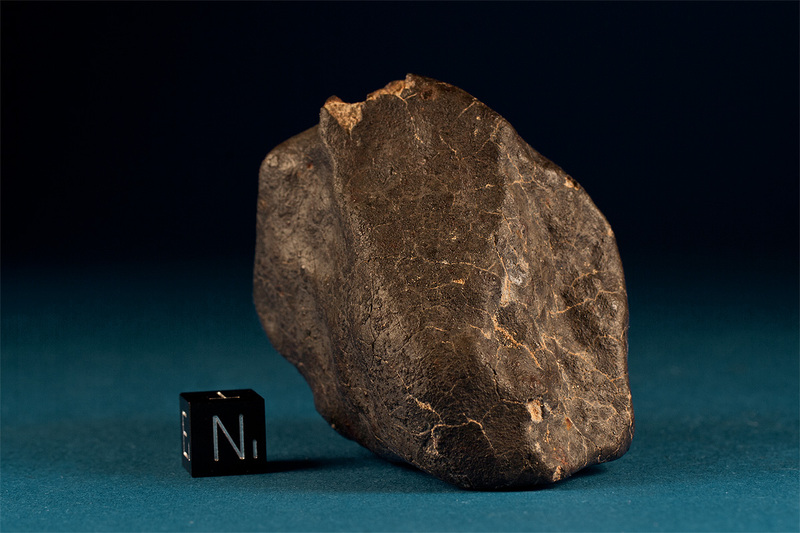 In total, during the first Expedition to the Aridal area, the Meteorite Recon Team found more than 30 fragments of six meteorites representing three different fall events. The top photo shows the 180 g Imirikli Labyad 001 meteorite in situ (Because the finds of the 2nd Expedition were classified and submitted before the 1st, the first find received the DCA-number 011).